The Artist's Studio is a large studio apartment with a king-sized bed that can be configured as twins and two single sofa beds. A cot is available for $20. The apartment has an en suite bathroom with shower only. The fully equipped kitchen has a stove, a microwave and a fridge. The living area has tv and a dvd. It has reverse cycle air conditioning. There is free wifi connection for the internet. An iron and an ironing board is provided but there is no washing machine or dryer. There is a laundromat nearby. The apartment is a generous 55 square metres. The apartment opens onto a small courtyard with a large jacaranda tree. It has easy ground floor access. There is one secure off-street parking space available at $35 per night. The Artist's Studio is $225 per night for two people. Each additional person is $35 per night. If fully booked, check out The Writer's Den (property 62779). It is next door. It offers similar facilities but is a bit smaller (and cheaper). There is a minimum booking of two nights. Homes mix with businesses in the old three-storey corner building. 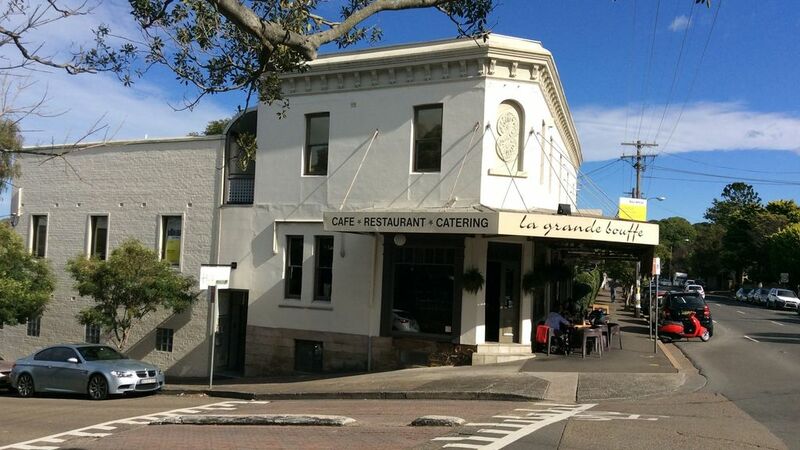 On the Darling Street level is an excellent french restaurant. The apartments are below on the Denison Street level, accessed by a separate entrance into a courtyard. The apartments are well located for public transport to the city (10 minutes away), and are walking distance into Balmain. There are lots of local cafes and restaurants within a short walk. The bus to the city goes past Darling Harbour and the light rail goes past the fish markets, Star City casino, the Maritime Museum and the Powerhouse Museum. Or you can catch a bus to the Balmain ferry wharf. Within 5 kms are The CBD (central business district), Darling Harbour with Sydney Sea Life and Sydney Wild Life, Chinatown, Paddys Market, Circular Quay, the Opera House, the Botanic Gardens, the AGNSW (art gallery of NSW), the MCA (Museum of Contemporary Art), Sydney Tower, the Overseas Passenger terminals and the Sydney Exhibition Centre.